Audible Kids is an app that combines the audio book with virtual reality. With Audible Kids, Parents can help kids turn their hand drawings into mobile VR experience. It aims to encourage kids to express their creativities while listening to the audible books. The magical power of Audible Kids is that it turns something from physical reality to virtual reality, and connects visual sense to auditory sense. In this project, I mainly worked as a product designer, participated in brainstorming, ideation and concept development, designed user flow, user scenario, and rough paper prototype. I also worked with the other UX/UI designer to create UI and interactive prototype. Just using google cardboard, children can view their drawings in Virtual Reality! After drawing and uploading, parents can help children share their creations in our online community, or browse other kids' drawings and boost their creativity! The design challenge of the Hackathon is to imagine "the future of listening". On the first night of the Hackathon, our team sat around a huge paper and drew a concept map using brainstorming method. When we finished and looked at the map, the word "Future" got connected to children and emerging technology. Within a short consideration, we defined our target audience to be children. Playing audiobooks to kids is like parents telling bedtime stories to them, they imagine the places, characters and scenes in the story. It's a wonderland for imaginations and creativity. So designing a tool to help boost and document this imagination came naturally. Combining with the emerging technology, we decided to create a "wonderland" for kids using mobile VR, because it's accessible to every family. After coming up with the idea, we quickly listed out and separated the tasks to all teammates based on our specialties. I was mainly responsible for UX design, including information architecture, sitemap, user flow, wireframe, prototype. 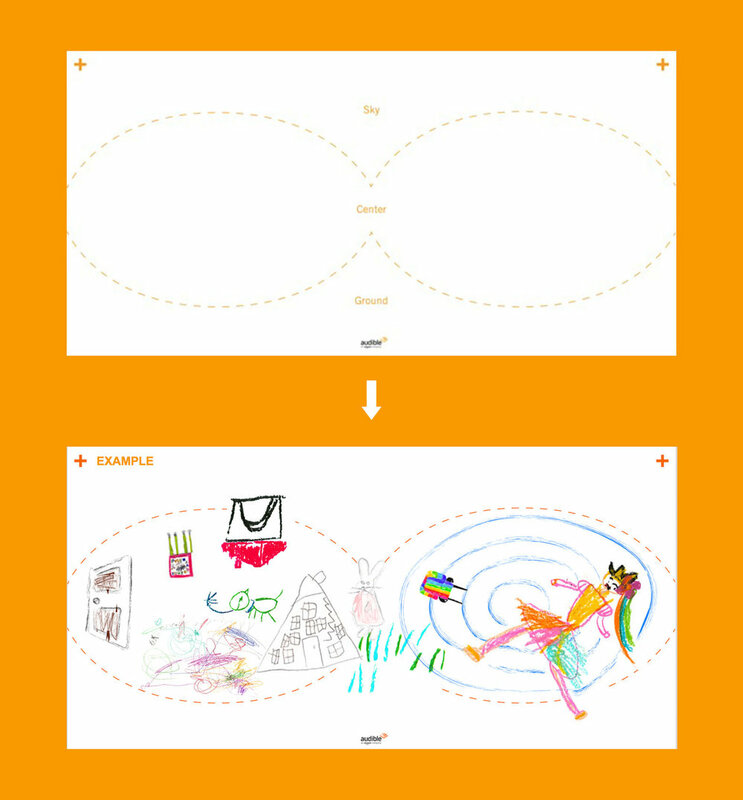 Because the main interactions for kids are listening to the audible book and drawing on the paper, which heavily relies on Audible resources, so we decided to design it as an extra function for existing Audible app. Our direct target audience is children from 3 - 12 years old. Within the range of 3 - 12 years, they can be separated into 3 groups: 3-6 years old, 7-9 years old, and 9-12 years old. Based on the research about our target audiences, we created 3 different scenarios. 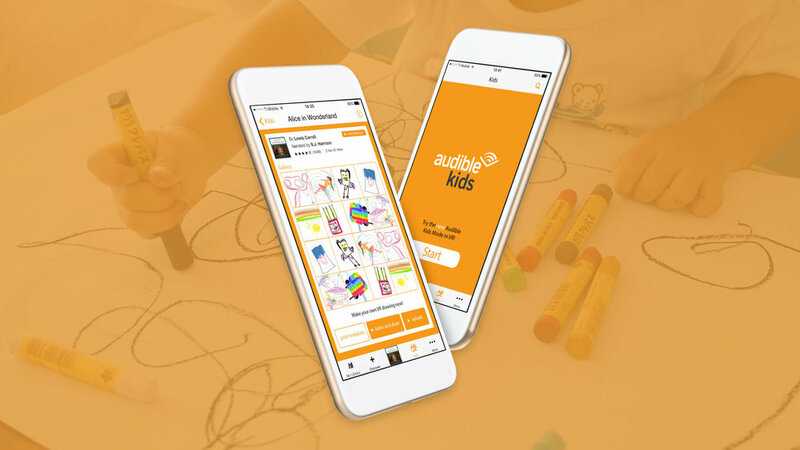 For kids from 3-6 years, they need to use Audible Kids under parent's supervision and guidance. For 7-9 years old, they can use it with some help from parents. For 9-12 years old, they are able to perform even when their parents are not around. Naturally, another target audience is parents. Because of the time constraint, I just drew everything on paper, it's quick and disposable so that I can easily test it among us and iterate. When I was working on the prototypes, Mikei did the key visual design and create a UI template. 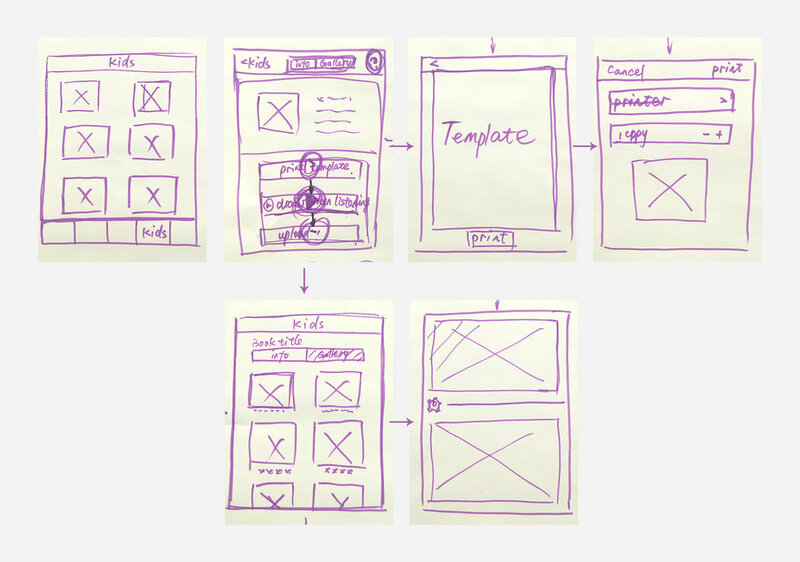 After we finished UI design for all the screens, we imported them into Invision, and create a quick interaction prototypes for the final showcase. While we were working on the UX/UI design, the other two team members - Miyeon and Iris developed their hand drawings into 360 VR view on google card board using Unity 3d.